The Federal Government has downgraded its focus on cybercrime by moving ministerial responsibility out of Cabinet. Will this make it easier for cyber criminals? 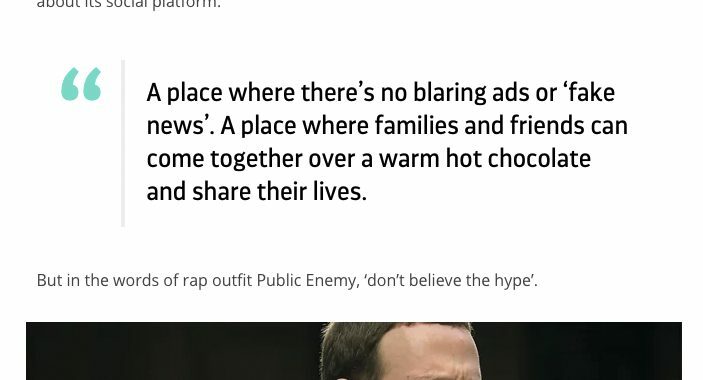 Don’t believe the promotion: Facebook is not your Nana’s kitchen, it’s a business model that depends on personal information. 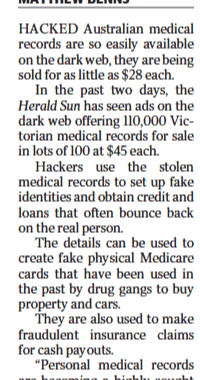 Medical records are stolen and sold by the thousands on the dark web. They can help hackers steal your identity, get credit cards and take out loans in your name. Everyone knows cyber crime is increasing. They may not know that a truism of crime applies just as much on line: crooks look for easy targets. They’ll walk past the home with an alarm to target the next home without one. Unfortunately, Australians are becoming the easy target in our global village. 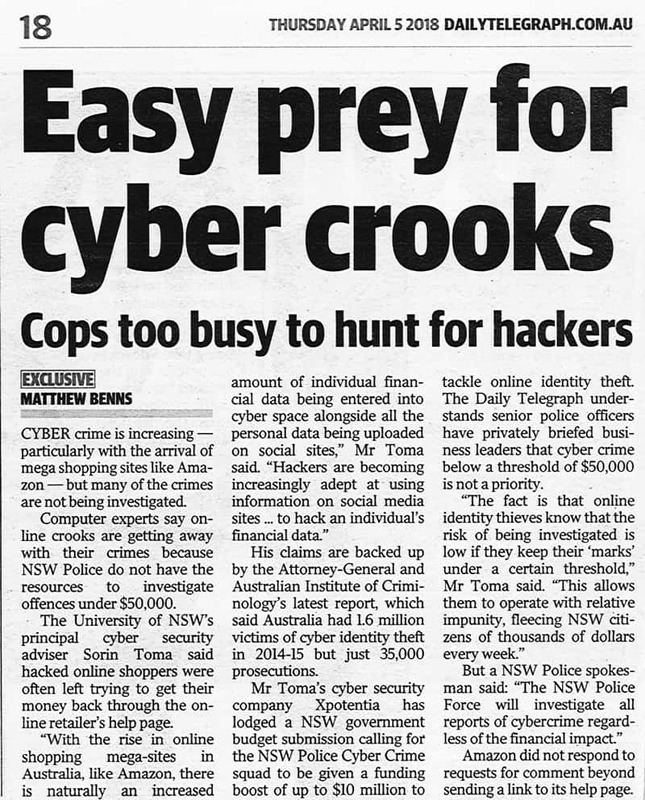 If you’ve been ripped off on line for perhaps $30,000, you’re probably in for some bad news: it may be that the police aren’t even going to try to catch your perpetrator. Cases involving less than $50,000 just aren’t being pursued, due to lack of resources. 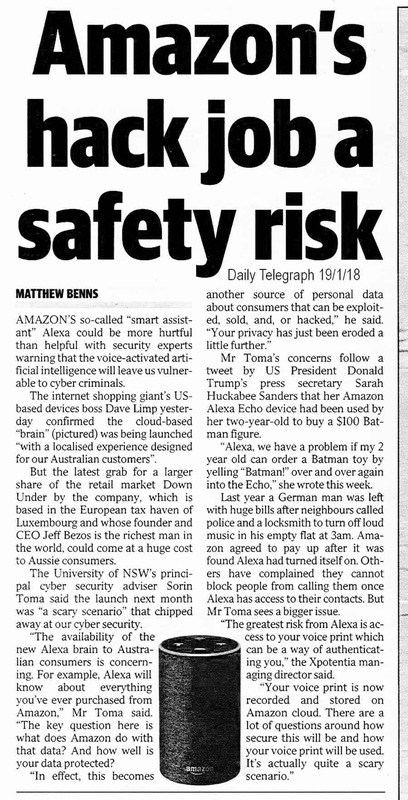 The Daily Telegraph (19th January 2018) reports on the security risks of Amazon’s new virtual helper.